Did you long to be popular in high school? Wish you weren’t on the outside looking in all the time? Try to fit in by dressing like the “cool” kids? Does this ring a (class) bell? You never once thought, “What is my gut telling me to do,” when you were making a decision as a teenager, right? All that mattered was fitting in so that you would feel better about yourself. The perfectionist- need I say more? The thing all of these people have in common is that they are still looking for validation outside of themselves. The friend who cannot acknowledge your achievements still battles insecurity. The boss who tosses around price tags and status symbols seeks approval and admiration to bolster his own flagging self-esteem. The co-worker who shops to her financial detriment needs all the “stuff” she buys to feel better about herself. The perfectionist who will never be satisfied with herself until absolutely everything is perfect – will always be “reaching” for happiness instead of attaining it. These people may be grown-ups but, they aren’t behaving any differently than insecure teenagers in high school. Anytime we look outside ourselves for validation we lose touch with our intuition. This is one of the most important things you can do to foster your intuition. When we look to others for approval we give away our power. We allow their opinions to take precedence over our own inner voice. Over time we effectively squelch this inner guidance and when it does surface we second guess ourselves to death. When we give away our power we lose touch with this core of truth and guidance that is the ballast for our lives. Our lives start to list way off course and the lack of practice with listening to our inner guidance makes hearing it (when we do) confusing. We’ve become so used to looking outside of ourselves that we don’t know how to trust our own inner truth – our intuition. Until you recognize what has put your life out of kilter you’ll always feel a little uncomfortable in your own skin. No matter what you do there will be this underlying feeling of emptiness, dissatisfaction and unhappiness that no amount of compliments or shopping can fill. By the time we “wake-up” our lives may have drifted so far off course that we feel overwhelmed by how out of control things have gotten. The thing to do is to get back to the basics. The only way to get back in-touch with your intuition is to change your focus from outside of yourself to inside. You must make the time to learn to go within. This is the only way to cut these invisible chords of dependence you have anchored into people and things outside of yourself. As long as these chords exist your power will flow out of you like electricity flowing through a power line. When you dissolve these chords you’ll also be taking back your power. And, when you take back your power your life will “right” itself and your intuition will become louder and more reliable again. 1. Meditate. The best way to begin to hear your own inner guidance is to meditate. You cannot go for a walk or take a drive and expect that it is the same as meditation. Meditation is only one thing – meditation. 2. Use affirmations to change your beliefs about your self-worth. “I am worthy of love and friendship and support exactly as I am.” “I am perfect, whole and complete.” Check out Louise Hay’s book, “You Can Heal Your Life.” It’s a classic that will truly change your life. I still re-read it and I bought it over 20 years ago. 4. Develop your intuition. 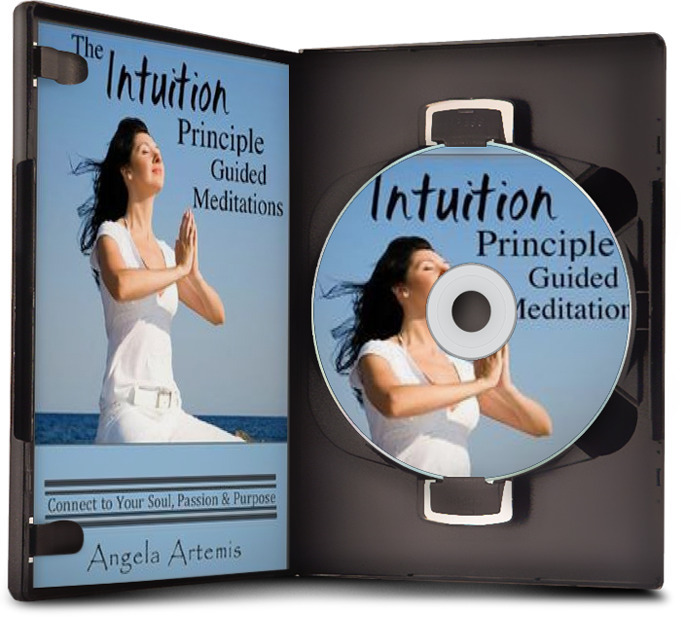 Have you read my ebook, The Intuition Primer? 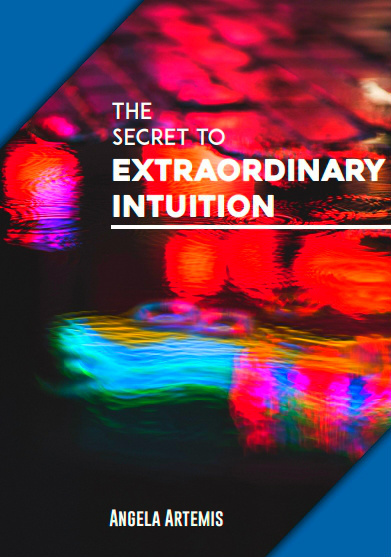 It will teach you how to tap into your intuition. The more you do this the more confident you’ll become in life and with making decisions based on your intuition. You can get the book for free for subscribing to my newsletter. 5. Stop trying to be perfect. We set ourselves up for disappointment when we drive ourselves to do everything perfectly. Perfection in life is a myth. Learn to love yourself. Find satisfaction in the journey and what you learned on the way. My friend Evelyn Lim is an expert in Self-love and is authoring a book on this important topic. 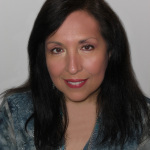 Check out her blog: Abundance Tapestry. Your intuitive guidance comes through most easily when you have fewer outside distractions. If you want to hear this guidance and be led to make the right choices and decisions in your life than you’ll want to get back in touch with yourself. Take back your power and turn up the volume of your inner voice! The only opinion that counts is your own. Can you think of instances in your life where you ignored your intuition to follow the advice of someone else and it was dead wrong? What will you do differently next time to be sure that you listen to your intuition? If you enjoyed this article please share it on Facebook, Twitter or G+. Thank you so much for supporting PbI. I truly appreciate it. P.S. Today is the last day to enter the promotion for a mediumship reading. To enter: “Like” PbI’s Facebook page and write 1 sentence on the wall, “I’d like to enter the promotion.” 3 Winners will be chosen this evening. Good luck to all! (Be sure to “like” the page so your entry is valid) To enter the promotion: Click here. To learn the difference between a psychic reading and a mediumship reading – click here. You are a very wise woman Angela! Since you told me about EFT I’ve begun to practice it. Your list of list of suggestions to stay in-tune with the inner voice is great. For many of us, it’s all to easy to shift over to look at signs of external validation – and if there isn’t a personal practice in place such as mediation & affirmations we can loose our internal guidance and flip over to the seeing and hearing only the external realm which often doesn’t help us along our path. I know I’ve said this before, but you are writing powerhouse articles! I’m so glad you explored the EFT. I think it is miraculous. I have the entire video training series. When I have a spare minute I like to watch a bit more. It’s so simple yet, so powerful! I agree it is all too easy to “flip over” and let outside influences affect us. So true! I have to agree that meditation is very powerful for improving your intuition. When I was younger, I didn’t think that it even existed… but now I believe in it and it shows up in my life more and more… and it works. As for EFT, I did try it a number of years ago but I tended to dismiss it as mumbo jumbo… I may have to give it another try I feel. Superduper life affirming message Angela. It’s hard not to be lured or dragged into the ‘in crowd’ or follow the flow of others especially at school. I was bullied as a result of being my own soul and resisting the gang mentality. Truth is such people as the years go by lose (or have never found) who they are whilst being true to yourself equates to being 100% in touch with all you need. As life grows so do you so hold your head high and speak your name well. The only thing we all need fit in is our own skin!! So nice to see you! I’m so sorry to hear that you were bullied in school. I’m glad you resisted the gang mentality though. You definitely are your own person! Being “The 100 Percent YOU” is the best way to be, for sure John. How sweet and kind of you to mention my book. Oh yes, I have been working at it. I enjoyed how you related giving power away with losing the connection from within. Over the years, I have learned about taking my power back. It is a gradual process, no doubt. Just recently, I needed to be reminded by my close friend that I have been giving my power away to a relative. I sought approval because I considered this relative as family and deemed her as someone important. Well, my friend gave me a wake-up call. After she pointed out to me, I became less attached to the idea of needing validation even from a family member. Which reminds me have you watched the youtube video “Validation”? It is very popular. I don’t think it proves some of the things you say in this post. Then again, check it out if you haven’t. I like it very much! You’re so welcome!~ I can’t wait to finish reading your book. I plan to do it over the weekend. We do give our power away in all sorts of ways we probably aren’t aware off but, mostly when we seek approval. No, I haven’t seen “Validation” yet. I’ll search for it on You Tube. Interesting, isn’t it, that for most of us, painful memories of adolescence are immediately triggered by the beginning of this post? What happened to those who were on the “inside”? Do they read these blogs?? Okay, I’m off on a tangent. Sorry! Anyway, the other memory that was stirred up for me was of a girl in my class named Michie (short for Michelle). When we all hit puberty and I was desperate to be liked, Michie just shrugged off all the peer pressure. She was an artist, and a very talented one. And a bit of an oddball, but only a bit. She did not care about freshman hazing or teen stars (except for the Beatles) or who was talking to whom about what. She was friendly and funny, but mostly she was her own person. I secretly admired her so much. In decades since, I have thought about her from time to time. My fantasy about her is that she has wasted none of her life trying to be someone else. I picture her as an excited and exciting artist, her energy humming, her feet grounded, her heart overflowing. I hope that’s true. Wow Galen, what a wonderful picture you’ve painted of your former school mate Michie. I do hope she avoided all of this garbage and became a truly successful artist marching to the beat of her own drummer. Yes, and I do wonder what happened to those people who were on the “inside looking out” too? Wow, this was chalk full of great material. I just finished commenting on Rob’s article and I couldn’t help thinking of High School either. I’ve been on both sides of that fence, looking in and looking out. When I’ve been on the outside, the thing that made the difference was just being myself and being ok with it. People hate fake. You’ll attract the best kinds of friends and acquaintances when you are being your true self. Great point. We attract people to us who we resonate with when we are ourselves. Not “trying” to fit in is the best way to be, for sure. When we try to emulate others – we end up being fake and attracting people who we don’t truly resonate with. Teenagers? What about us bloggers? Isn’t it tempting to do what it takes to fit in with the top people. I don’t think our ego ever stops tempting us to be who we’re not! Great job. Wow! Tess, yes. I never thought about it that way but you’re right. Blogging is a community, after all. I’m tempted to say I have not interest whatsoever in fitting in with the so called “top-bloggers” but, that would be false. I try not to allow myself to go there is more in line with the truth. That post came at a perfect time, Angela. I’m still struggling with self – worth issues and have times where I rely on people’s approval a little too much. Of course, the inner me knows that I’m the one that matters in that department, but I’ve been conditioned to evaluate my performance based on the reactions (or lack thereof) of other people. I want to try EFT but I’m not sure how to do it. I know where to tap, but I am unsure as to the actual process and affirmations used. I think EFT would be a perfect tool for you. Go to the website I listed in the article. There are step by step instructions for how to do EFT on yourself. Glad I no longer care about what others think. Yet those people who wish to exert their influence and who are judgemental are still around us. Intuition Primer is great. 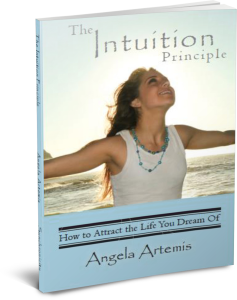 Looking forward to your new book the Intuition Priciple. Yeah, it’s so freeing not to care, isn’t it? I’m glad you enjoyed The Intuition Primer. I hoping that The Intuition Principle sees the light of day soon! This is exactly the post that I needed to read today! I find it harder to find my power within when I’m in a relationship. These are excellent suggestions, so of which I am already doing. Others, I would like to explore. Thank you so much. I too find it harder to maintain my power in a relationship. It’s something I’m working on as well. It’s such a pleasure seeing you. Once again Angela you hit the nail on the head. This article is timely as I have a friend and work with people who have this going on now. Thanks for such great articles! I’m sure you can pinpoint a number of people who are still stuck in their teenage insecurities. This post takes me back to a time when I just wanted to be one of the boys. I always thought that I wasn’t fantastic at anything. Not sports. Not studies. Not relationships. Being average then make me desire acceptance in the crowd of the moment. Looking back it was foolish. Our greatest judge is the one that resides in our hearts. If we are enough all is enough. I think we are all created as individuals to express our true self to the world. We all possess something that only we can give. I love that: If we are enough all is enough. I’m so glad you found out how many gifts you do possess. Oh so very true. As I am reader the different personality types in your post I am visualizing people that I know who behave like that. I’d love to read your post by that title! I’m sure it would be excellent! Yeah, when you think about the personality-types I describe I’m sure it will bring to mind people in your own life. I think they were a bit stereo-typical. You are a breath of fresh air! I love your attitude. It’s so much better to be on the outside looking in, isn’t it? Yes, we absolutely do teach what we most need to learn. I got lucky and went to an all-girls school, so the social stuff wasn’t the same as it is for most. There, the smarter the better for the most part, and while there were cliques, they weren’t mean spirited. OTOH, we didn’t learn too much about boys since we rarely saw them! I did learn there that being independent is most critical, and thinking for yourself is #1. Your opinion is the only one that matters, indeed. I think an all girls school is a great way to eliminate at least half of the popularity stuff. Thank goodness the cliques weren’t mean spirited. Girls can be pretty mean. Great post Angela! I was one of the lucky ones in high school who didn’t quite fit into any clique but had friends everywhere. I also enjoyed my parents’ company when I wasn’t in the mood for all the high school junk. I think, too, that if you like being along, it doesn’t bother you not to be in the “in” crowd. I’ve tried to teach my kids that and for the most part they’ve been able to shrug off the silly stuff. Love your ideas and love the EFT. Is that the same as “tapping”. I just tried it at the laughter yoga and it felt so good. And love the idea of giving up perfectionism. I was the same way in HS. No real group – just sort of friendly with everyone. I was lucky enough to have some wits about me too and not get sucked into the deep dark well of searching for popularity. I always marched to my own beat too. I’m so glad you’re passing this on to your kids too. EFT is Tapping. Right! It’s so awesome. I tap on myself when I take my walk every day. No more perfectionism. Life is too darn short. There’s that phrase again, I love it. And as always, I must emphasize the meditation part. I actually meditated into a little nap (as I mentioned on Twitter) and felt SO rejuvenated after. I haven’t felt that good in a while. It was fantastic, and any worries or insecurities I had before were completely gone at that point. Meditation is awesome! I truly believe we should be teaching it in public school. I’m glad you had such a rockin’ meditation session too! It’s amazing how much people reveal about themselves without even realizing it. Your examples of people looking for validation are right on. I’ve been paying more and more attention to this lately, listening to what people don’t know they are sharing. They unkowingly share all kinds of worries, things like unease with money, guilt over working instead of staying home with the kids, etc. How are you? It is amazing, isn’t it? The examples are taken straight from real life. Years ago I had a boss just like the one I described. I don’t remember there ever being a conversation where he didn’t mentioned how much something he owned cost. It was almost comical after a while. Thank you so much fore visiting and commenting. This is so spot on. So many people are still stuck in high school in one way or another. We fear rejection from the group, look for the “popular” kids and seek their approval, try desperately not to stand out as the geek… Although I don’t like the idea of growing up (too much limitation in that idea), I do think that it’s time to grow. When we let go of all those fears and limiting paradigms drop, we gain a freedom we couldn’t even imagine in high school. We can get to the point where we truly don’t care what others think, where we see the cheerleaders and jocks as just as insecure as we are (they totally were) and realize that everyone is scared of everyone. We can step outside of that and begin to understand our own power. I’m glad you found the post worthwhile. I’m sure you’ve come a long way since high school, for sure. I remember the “angst” I felt at the time. The feeling that, surely, anyone’s life other than mine must be better! Thank goodness we’ve come a long way, right? I can’t imagine never outgrowing that. How sad. well. I’m sure you weren’t trying to be perfect, but you wrote a perfect post! LOVE this! That’s so sweet of you. I wasn’t happy with the post – but I figured done was better than perfect. No perfectionism for me.